FT. LAUDERDALE_Do you believe? If not, you will after taking the Polar Express Train Ride. The widely beloved book by Chris Van Allsburg and movie starring Tom Hanks is brought to life aboard a one-hour train ride that departs from Brightline's Fort Lauderdale Station on select dates until Jan. 1. 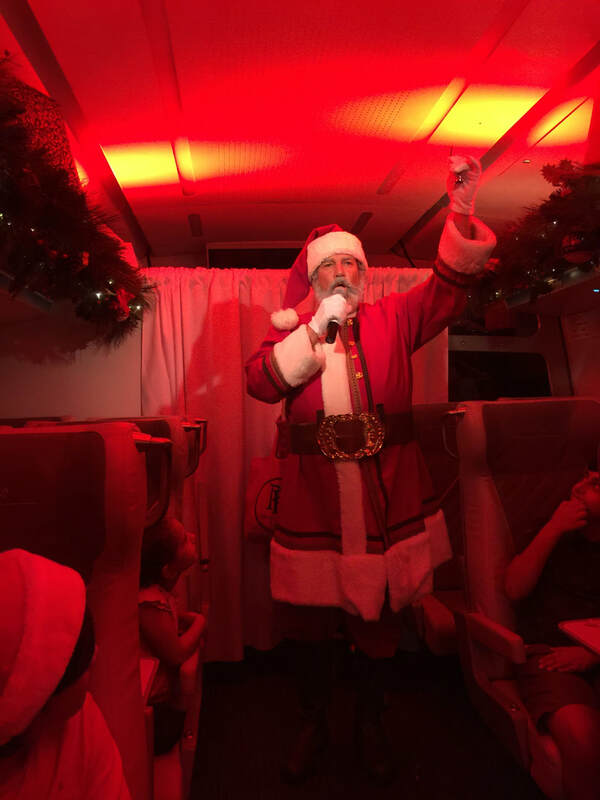 Brightline, The Museum of Discovery and Science, Warner Bros., and Rail Events have partnered to create a special holiday experience that all ages will enjoy. We brought our granddaughter, Cate, to a media preview reception and train ride. 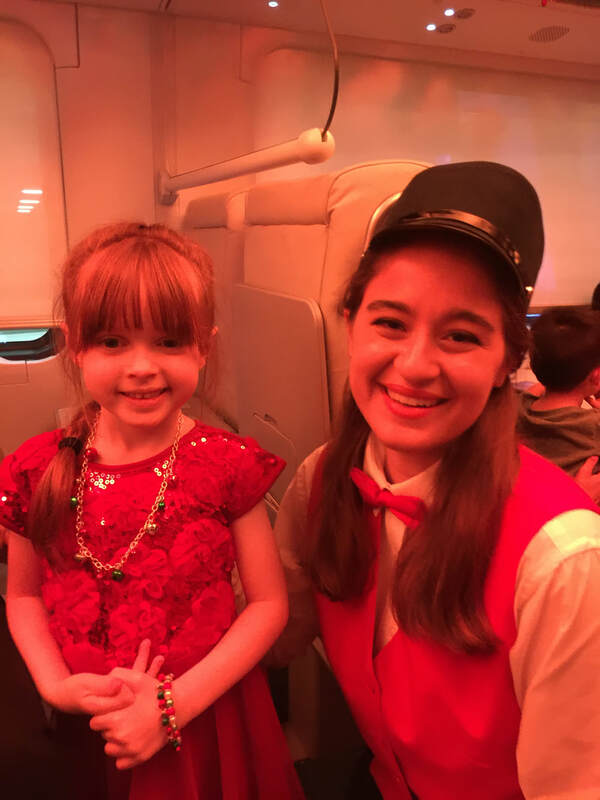 Who better to offer an opinion on the Polar Express than a six-year-old? She was joined by plenty of other pajama-clad children, anxious to offer their opinions as well. The experience starts at the station's waiting areas, where young guests are invited to write a letter to Santa or color holiday scenes. 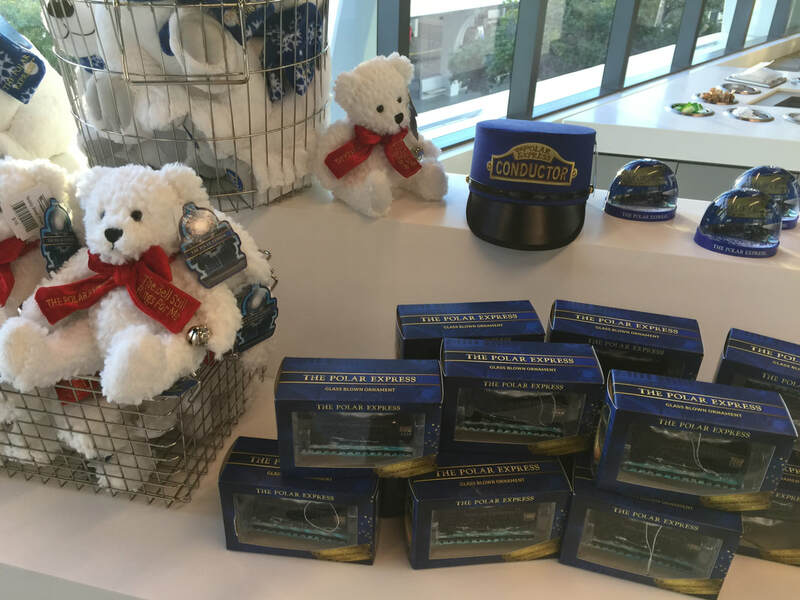 There is also a wide range of Polar Express merchandise for sale. Colorfully-dressed characters from the story announce it's time to board. 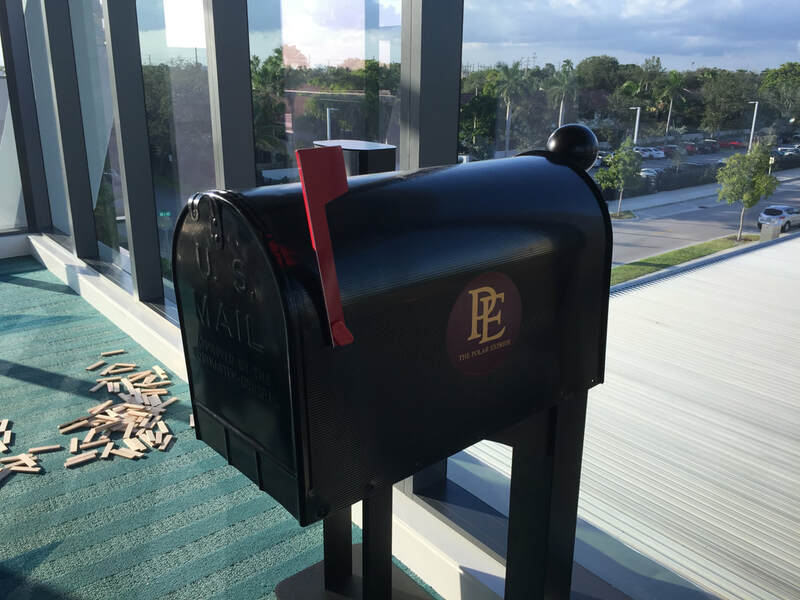 Golden Tickets in hand, we all head for the Brightline boarding platform to find our cars. Inside the cars, they've done a masterful job of re-creating the Polar Express theatrical experience in a small space. Gifts and garland line the upper racks, while multi-colored lights create a holiday mood. The attendants are acting professionals who show their polish in song and dance. ​arrival of the big man himself -- Santa Claus. Cate was mesmerized, and volunteered to be a reindeer during the singing of Christmas carols. We all got our Golden Tickets punched, as well as servings of hot chocolate (not too-hot for the kids) and cookies. Plus everyone got a souvenir Polar Express silver bell -- just make sure there's no hole in your pocket! Ticket prices range from $50-$70, depending on date and service class. Use promo code EARLYBIRD and save $10 per ticket for these dates: Nov. 17 and 18. 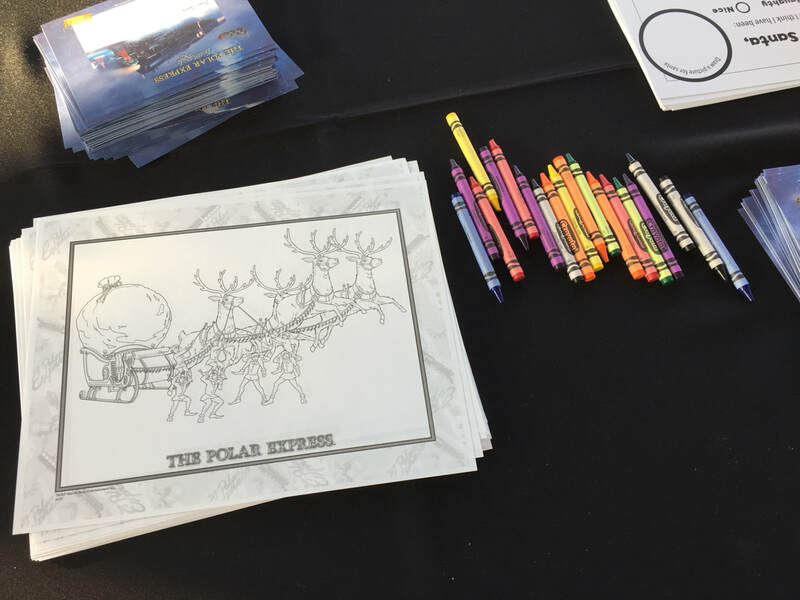 Augmenting the train ride, the Museum of Discovery and Science is showing "The Polar Express: An IMAX 3D Experience" on weekends through Dec. 9 and a "North Pole Pajama Party" Saturdays, Nov. 17 and 24, and Dec. 1 and 8. Check with the Museum for pricing at https://mods.org/films/polar-express. Prior to boarding, there's plenty for the kids to do. Cate colored and then wrote a letter to Santa, already on its way to the North Pole. Brightline President Patrick Goddard welcomes media and guests at a special reception for the Polar Express Train. 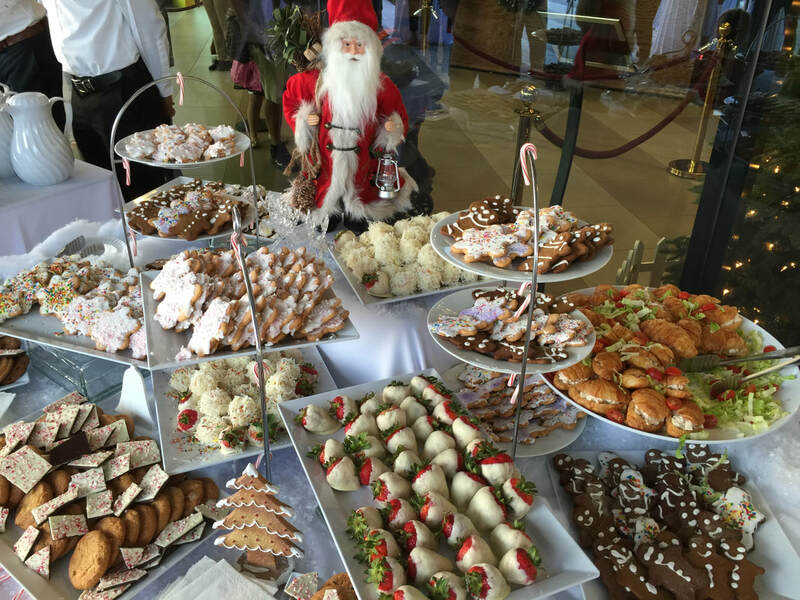 So many cookies, so little time! Cate calls it a "win-win." Cate and Pam are ready to board the train -- and so is everybody else! The big moment comes -- Santa arrives! Everyone joins in to sing Christmas carols. Cate got to be a reindeer!